The company that is presently known as James B. Lansing Sound, Incorporated, was first called Lansing Sound, Incorporated, and dates from 1 October 1946. 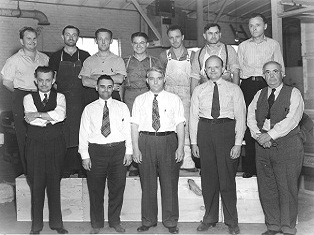 The principals of this company were James B. Lansing, Chauncey Snow, and Chester L. Noble. Since the name Lansing had been identified for so many years as a product trade name, the Altec Lansing Corporation objected strenuously to the name of the new corporation. By agreement with George Carrington, Lansing Sound, Incorporated, changed its name to James B. Lansing Sound, Incorporated. The general consensus was that there was strong product and brand identification with the name of Lansing by itself, and that of course was the property of Altec Lansing. The use of the full name James B. Lansing on the other hand focused attention on the man himself … as opposed to specific products. 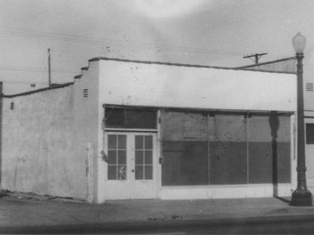 The earliest letterhead of the new company showed the office located at 510 South Spring Street in Los Angeles, which was the office of Chester Noble, a financial consultant. Snow was a lawyer Lansing had dealt with for some years. The letterhead also indicated that the factory was located in San Marcos, a small town close to Oceanside in San Diego county, and the location of an avocado and citrus ranch that Lansing owned. He maintained a complete machine shop on the premises, and this is where he actually began his new loudspeaker manufacturing work. 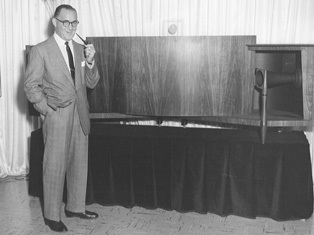 One of the first products introduced by the new company was the model D101 fifteen-inch loudspeaker. It was virtually a copy of the Altec Lansing 515 theatre woofer with an aluminium dome and with venting through the back of the magnet structure. Lansing also used the trade name, Iconic, in describing this loudspeaker, and this was of course an obvious violation of Altec Lansing’s ownership of the Iconic trade name. Obviously, Lansing was not aware that he was doing anything wrong; he simply felt the name Iconic which he had coined as a trademark years earlier was somehow still his. Altec Lansing of course insisted that he cease and desist in such unwarranted use of the Iconic name. Lansing soon developed a series of components enabling him to put together a virtual copy of the original Iconic system. 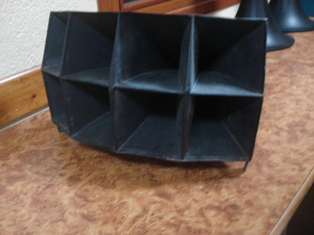 These included a fifteen-inch theatre-type woofer, a high-frequency driver, and a small multi-cellular horn. The driver, known as the D175, is still in the JBL catalogue today. Lansing pioneered the use of four-inch voice coils for low-frequency transducers, and the D130 was the first loudspeaker to incorporate this. The D130 was developed in 1947 and with it the D101 was discontinued. The development of Alnico V material during the war years is what made the new design possible. Working with Robert Arnold of the Arnold Engineering Company in Chicago, Lansing was able to procure a magnet of reasonable size that could saturate a four-inch diameter gap with a field strength of about 12,000 gauss. 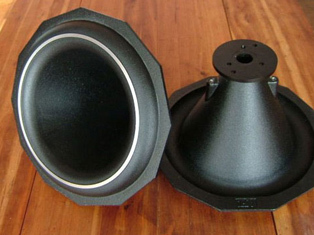 Such a gap obviously had to be quite small, and the relatively large four-inch voice coil had to be built with a degree of precision that had been unknown in the industry. Other products designed by Lansing during the same time were the twelve-inch D131 and eight-inch D208. The company had been formed during the economic slump immediately following World War II. As we have noted before, Lansing was not a shrewd businessman, and the company never prospered under his direction. In November of 1947, Lansing secured additional funding from Roy Marquardt of the Marquardt Aviation Company. With this agreement, Marquardt Aviation agreed to furnish manufacturing space for a cost to Lansing of 10% of net sales, with the Marquardt company receiving the right to take assignment of accounts receivable to satisfy at any time the amount due. Marquardt further agreed to lend money to Lansing for working capital in such amounts as would not be a burden on the Marquardt corporation itself. 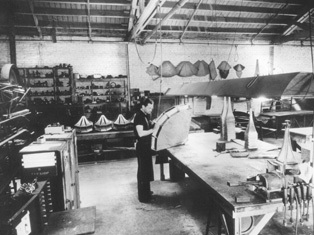 The Marquardt company was further given an option on 40% of the stock of the Lansing company, and the Marquardt Aircraft Company was represented on the Board of Directors by William H. Thomas, who was at that time the Treasurer of Marquardt. The company moved its offices and manufacturing facilities to the Marquardt plant at 4221 Lincoln Boulevard in Venice, California. In late 1948, the company moved to the Marquardt facility at 7801 Hayvenhurst Avenue in Van Nuys, California. 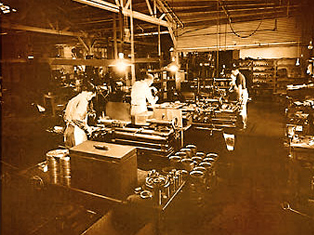 At the end of its second fiscal year in 1948, James B. Lansing Sound, Incorporated, showed an operating loss of some $2,500; and this with most of the tooling and development costs still in the process of being capitalized. By December of 1948, the debt to the Marquardt Aircraft Company had reached almost $15,000, and it was inevitable that the company would have to be taken over by Marquardt with Lansing continuing on as an employee. Lansing further bought out the interest held by Messrs. Snow and Noble so that he became the sole spokesman for the company in negotiations with Marquardt. In early 1949, Marquardt was purchased by the General Tire Company, who were not interested in continuing the relation with Lansing. The tie between Marquardt and Lansing was severed, and at that point, William Thomas left Marquardt and assumed an important role in the operation of James B. Lansing Sound, Incorporated. The company then moved to new headquarters at 2439 Fletcher Drive in Los Angeles. During the first three years James B. Lansing Sound, Incorporated made no profit at all; it barely stayed afloat. Over the short span of three years, the company occupied four locations, and that had an impact on production efficiencies. There were rarely enough funds to pay all suppliers. By late 1949 the company had amassed a total debt of some $20,000. 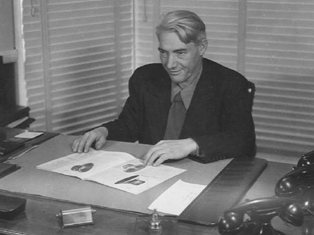 One supplier who was very sympathetic to Lansing and his work was Robert Arnold, whom we referred to earlier. It may be said that it is through the sufferance of Arnold that JBL is in existence today. At one time, James B. Lansing Sound, Incorporated, had indebtedness to Arnold Engineering Company stretching over a period of two years. We are not sure why Arnold provided this extra measure of lenience to Lansing, but it may have had to do with the fact that Lansing was an avid promoter of Alnico V magnet material for loudspeaker use. Lansing’s endorsement of the new material would ensure its general acceptance by the rest of the industry. On Thursday, September 24th, 1949, at the age of 47, James B. Lansing passed away. Lansing had been wise enough to secure a life insurance policy in the name of his company during the late forties. The policy was for $10,000, and it was the payment of this policy on his death that helped William Thomas secure the future of the company. We must remember that $10,000 was a great deal of money in 1949. When Lansing died he left his one-third share of the company to his wife. During the early fifties, Thomas negotiated the purchase of this amount from Mrs. Lansing and thus became the sole owner of James B. Lansing Sound, Incorporated.